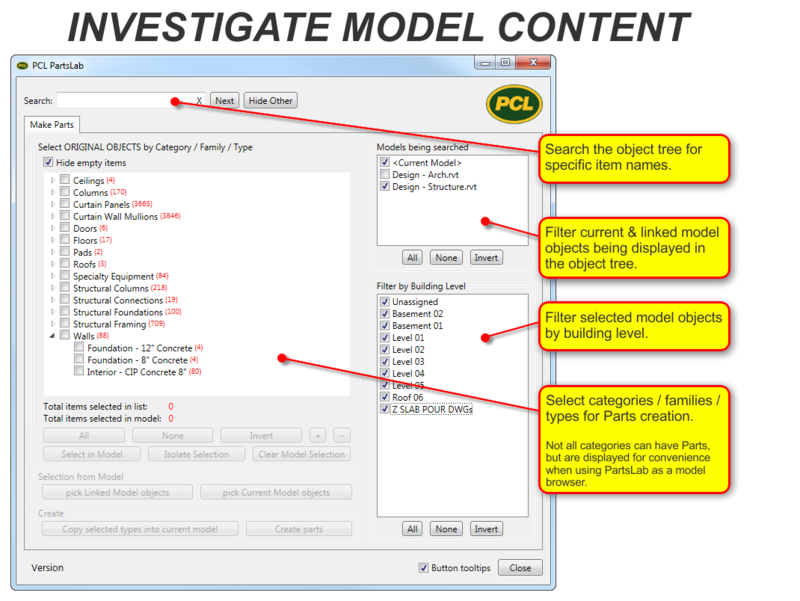 PCL PartsLab is a free Revit add-in that automates the creation, visualization, and change management of Revit Construction Parts. Drastically reduce time and clicks by creating thousands of Parts from targeted categories/families/types. 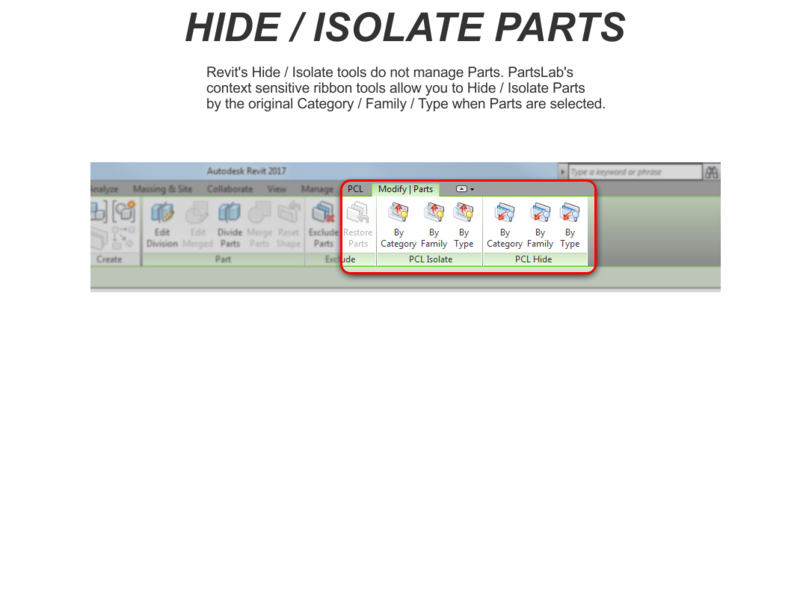 Context sensitive tools assist in quick hiding & isolation. The managed history view helps you keep track of when design updates happened, and what changed. Revit Parts are typically used in the construction modeling process when modifications to host objects are required (including linked-model objects) like floor slabs, walls, structural steel… without actually modifying those host objects. 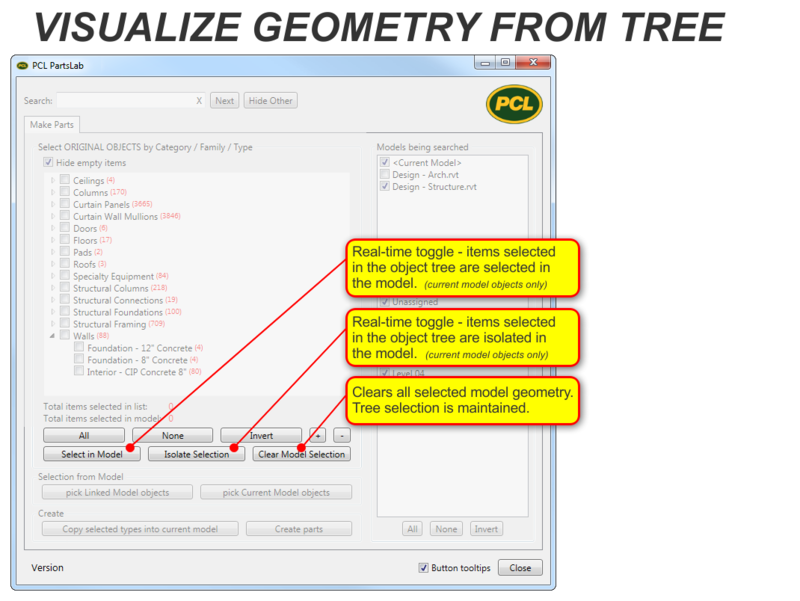 PCL uses this workflow to prevent documentation rework after design model updates, specifically changes within linked design models. Download the 30-day trial. It's free! PartsLab is free, but must be registered for use past the 30-day trial period. Minimize Documentation Rework after Design Updates. 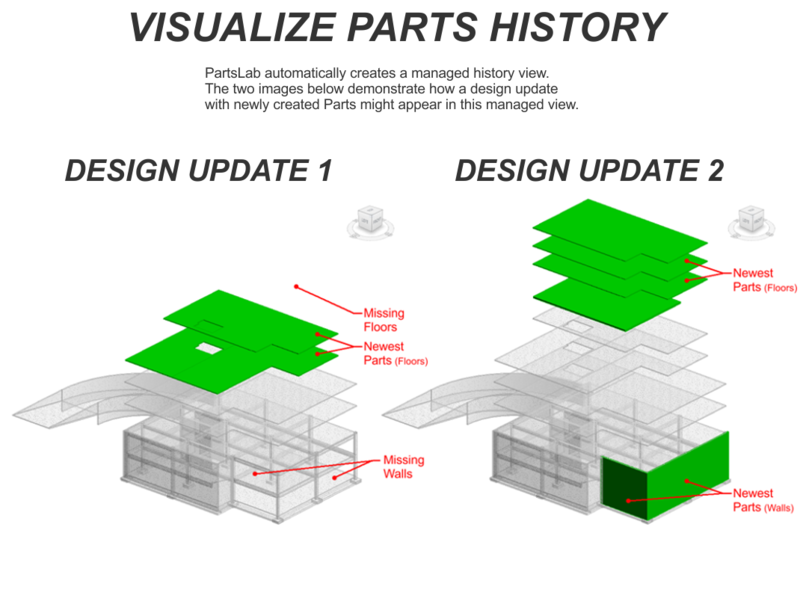 Parts is a native Revit feature that creates a clone object in your current model. These cloned objects stay hosted to the original objects, and update in shape and location when the host object updates. 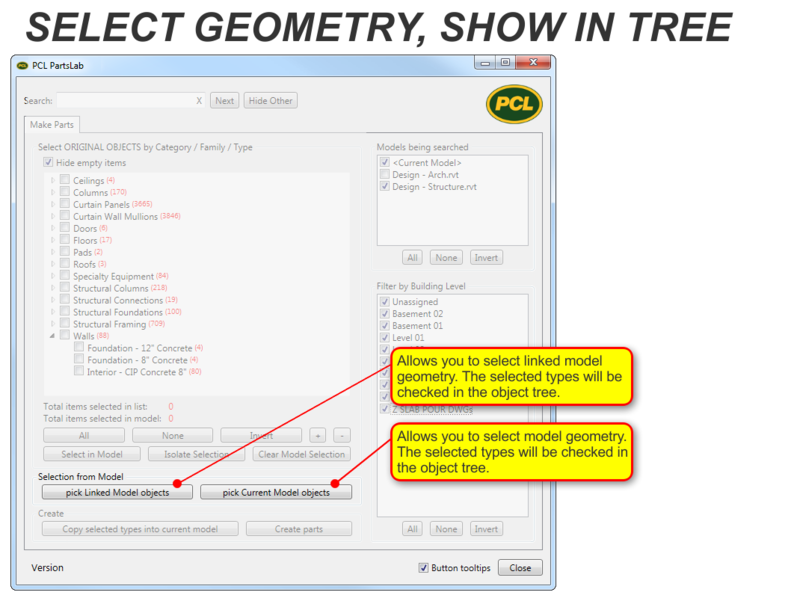 The host objects can be within your current model or a linked model. Parts can be highly modified in many ways to accurately represent the object being built in the field, and can also be merged with other Parts to create a composite object from many host objects. Revit take-offs and schedules correctly reflect the volumes of your Parts after modification. When the linked design models (containing the host objects) are updated, your Part edits are maintained. Objects placed on your Parts such as dimensions, embeds, sleeves, etc. 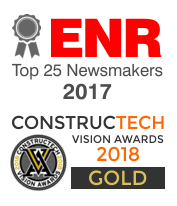 are still correctly hosted and located. Using Revit Parts for construction documentation is the solution, and PartsLab helps you get it done. See workflow illustration below.